In an interview with Rainbow Sports, Mr Takyi Arhin said, the normalization Committee think the money they received on behalf of the clubs belongs to them so they could use it any how they want. When asked by Rainbow Radio’s Isaac Worlanyo Wallace on Rainbow Sports why they [Clubs] are unable to voice out their frustrations when they get the chance to meet with the committee, he said the committee has not been transparent and accountable since they were constituted. 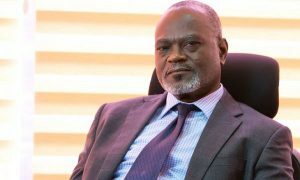 The real date for the commencement of the Special competition organized by the Normalization Committee is not certain as clubs battle with the committee on their willingness to participate in the competition. The 48 division one clubs declared their intention to play and out of 16 premier league clubs, only 2 clubs declared their readiness to play that is Asante Kotoko FC and Dreams FC. Prior to the date for the start of the special competition, the Normalization Committee told the clubs not interested in the competition to officially write to them. According to him, it got to a time when the normalization Committee were demanding 50 percent of the gate proceedings of every game but the clubs stood firm and rejected the proposal. In his view, if the former GFA president, Kwasi Nyantakyi’s administration was not transparent then this Normalization Committee is far worse then that of the previous GFA officials. Meanwhile, the proposed Special Competition aimed at getting the Ghana Premier League clubs and Division One League sides busy has been cancelled.